A good ole American hot dog WITH a twist. A Japanese twist. First, I believe that the essence of Japanese cuisine is in its simplicity (let me know your thoughts). This Japanese take on the hot dog is no exception. 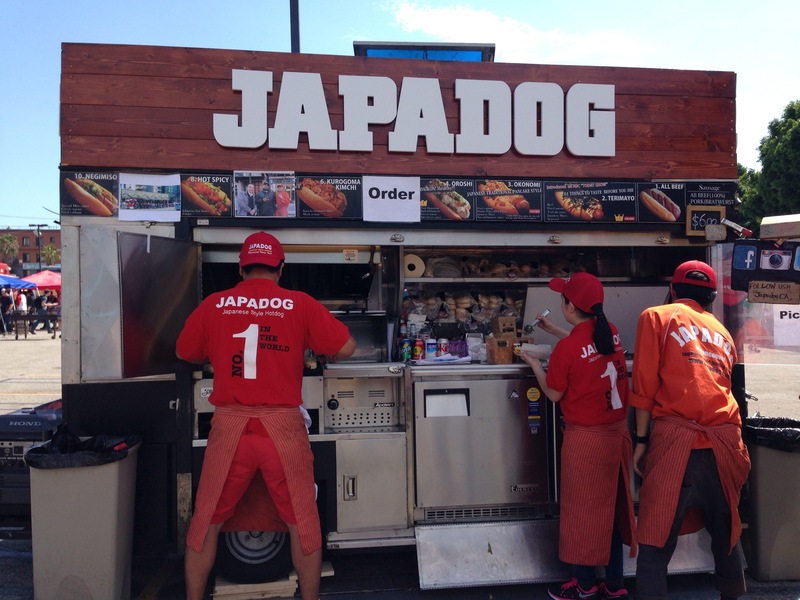 Just a few elements taken from Japan and viola…a Japadog. 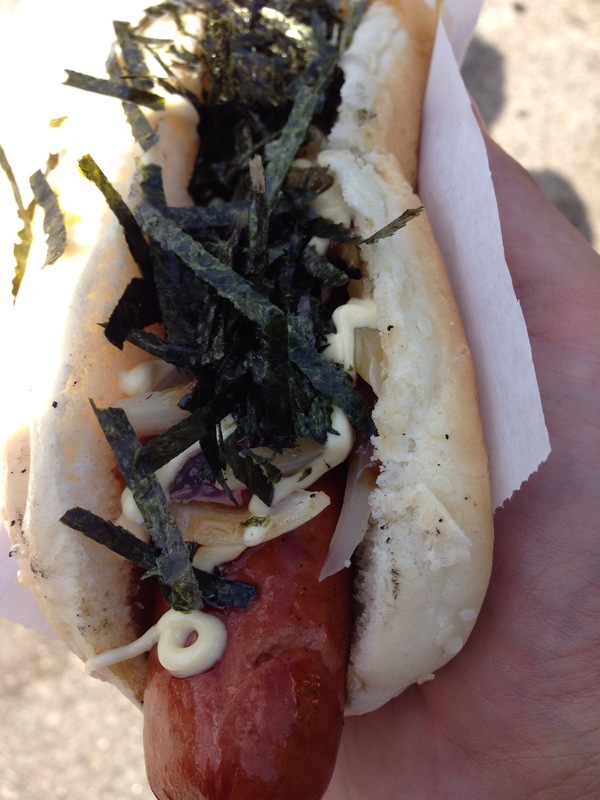 The Terimayo hot dog consists of a teriyaki sauce, mayo, onions, and seaweed. I think that all parts go well together. The sweetness of the teriyaki sauce accompanied by the mayo make a unique, but tasty flavor. The seaweed tops it off adding to the layers of flavors. Seaweed can be salty, but it did not have an overpowering taste by any means (even though it looks packed onto the hot dog). As for the hot dog part; its a hot dog. If you can catch this food truck, it is worth checking out. I can’t wait to run into it again and try another flavor…and try the Terimayo again.